The International Centre, Telford is a stand out venue, centrally located in the heart of the Midlands and with a modern, unbranded interior - it really is an ideal home for large events. 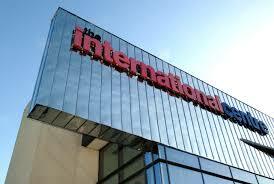 With over 15,000 sqm of event space, you are spoilt for choice at The International Centre. The venue provides versatile, contemporary facilities that cater for every need, from small boardroom meetings through to large scale conferences and exhibitions. Set over two floors, and with a compact footprint for easy delegate flow, take a look at the event spaces and start to plan your next event. 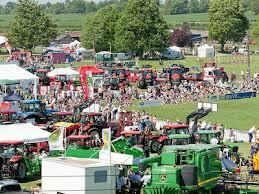 The West Mid Showground and The Quarry in Shrewsbury host a variety of events throughout the year from the county show, agricultural, animal and flower shows, to food and music festivals and concerts, the circus, and the bonfire and firework display. And Weston Park, Oswestry Showground, Newport Showground and Ludlow Castle are a few other popular locations for large outdoor events throughout the year in Shropshire. 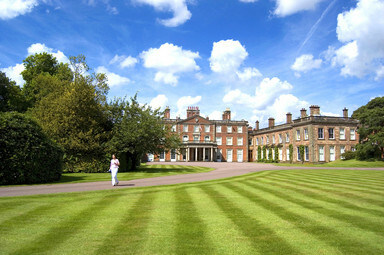 Some of the the most popular locations including county showgrounds in our surrounding counties can be found at Knutsford, Malvern, Stafford and Stoneleigh. Each offers a different mix of indoor-outdoor space, as well as accessibility to different parts of the Midlands' consumer and business population. The NEC hosts over 140 consumer and trade shows every year, with over 33,000 exhibiting companies - if you want to get your product out there, the NEC is the place to exhibit. 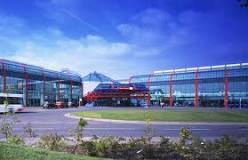 The NEC website is a good resource for exhibitors including a guide to exhibiting, hall and facilities information, parking and services ordering information. With the capacity to handle intimate corporate functions and large-scale conferences or exhibitions, our historic architecture and state-of-the-art facilities provide the perfect venue for some of the world’s leading events. 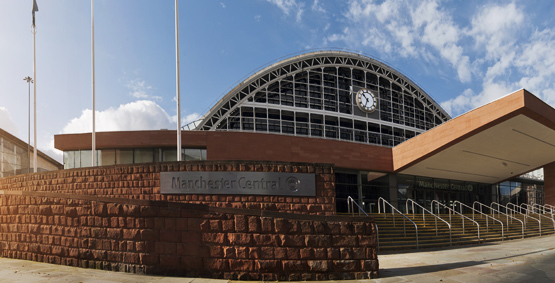 The Manchester Central website is also a good resource for exhibitors including information on facilities and event planning. 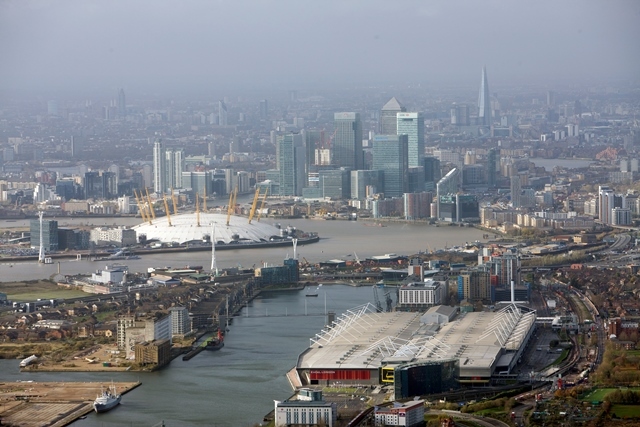 Visit the Excel website for details regarding what's on and facilities. This venue is loaded with history and has a wealth of stories to tell. 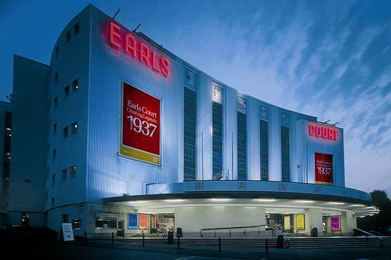 Earls Court One opened for business in 1937 with the Chocolate and Confectionery Exhibition, and was joined in 1991 by Earls Court Two which still boasts Europe’s biggest unsupported roof span. Earls Court One and Two together have a total 60,000 square metres of event space and add to these facilities the purpose-built conference centre and the Museum Hall party space can boast a venue and a space for every event. 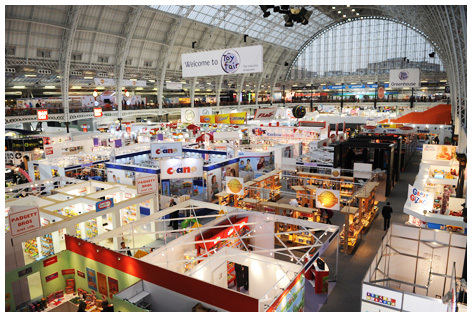 Visit Earls Court's website for a wealth of exhibitor information. Olympia, London has enjoyed a colourful history since opening its doors to the public on 26th December 1886. Olympia London is a collection of inspiring spaces that have been recently renovated and refined to enhance the beautiful buildings, connecting them together as never before. Use the Olympia website to leanr more about the venue and facilities for exhibitors.